Circa 1889. 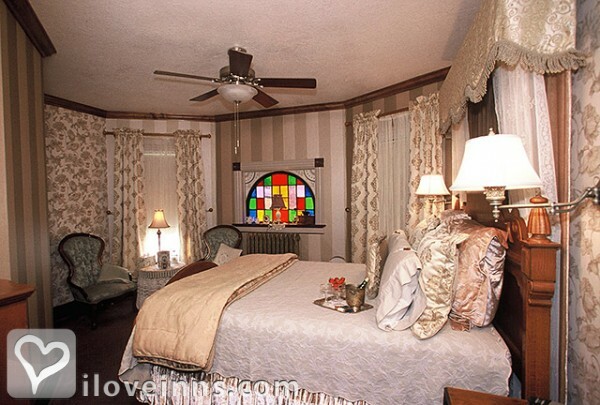 Fully restored, this Queen Anne Victorian B&B in Lanesboro, Minnesota is a historic masterpiece with original woodwork and stained-glass windows. The dining room boasts rare stamped leatherette paneling. Period antiques and reproduction pieces blend well together. 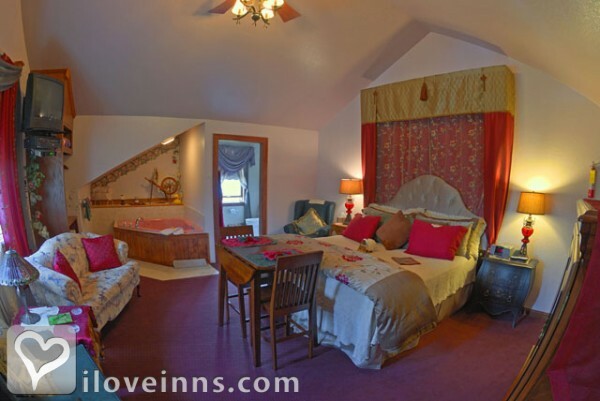 Historic Scanlan House Bed and Breakfast Inn offers guest rooms and suites with an assortment of amenities from fine linens and lace to fireplaces and whirlpool tubs. Linger over a multi-course gourmet breakfast before beginning the day's adventures in this scenic area. 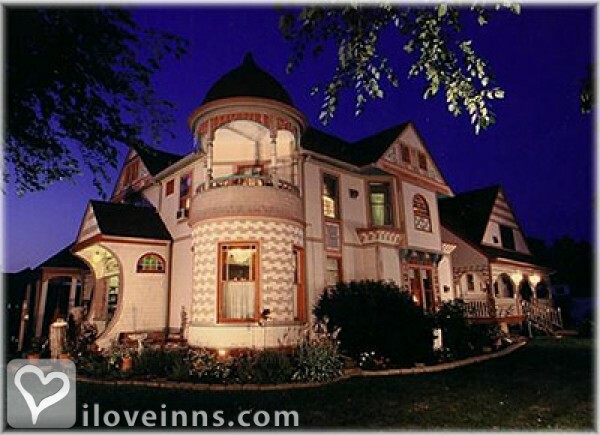 The inn is only six blocks from the Root River State Bike Trails. Ask about special packages available. Payment Types Accepted Include Visa, Travelers Checks, Personal Checks, American Express, Master Card, Discover and Debit Cards. 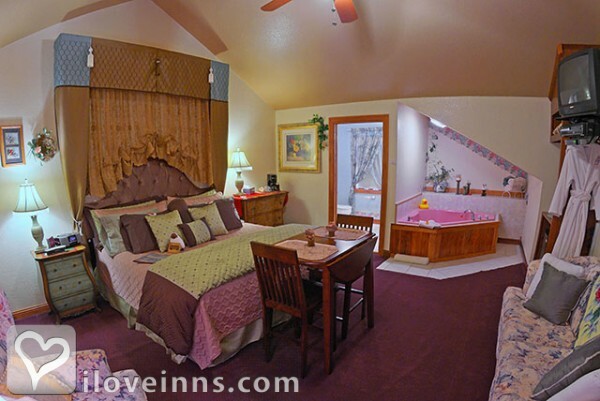 This property has 7 total guest accommodations with private bath, 5 with fireplaces, 6 with whirlpools, 3 suites. The types of beds available include Queen. From the moment you walk through the door, you find yourself in another time and place. You can't help but let yourself take it all in and bring you back to a romantic place in time. The grounds are decorated in an abundance of mixed flowers and sitting gardens. You will have to take our virtual tour on our website to really appreciate it all. National Register home built in 1889 by Michael Scanlan, member of the founding family of Lanesboro. The house was the first in Lanesboro to have electricity and indoor plumbing and even had a private water tower. The dates this property will honor the certificate are Nov. 15 - Dec. 20; No holidays or weekends. Subject to availability. Beautiful grounds, hearty breakfast, and helpful hosts. We love visiting Lanesboro, enjoying the bike trails,kayaking, golfing and their great theatre. Such a fun place to visit. We love staying a few nights at the Scanlan House, always a great place to rest and enjoy a delicious and beautiful breakfast. Went on a Sunday night and had a great evening. The room was big and had an excellent atmosphere to it. The staff was friendly and provided an excellent breakfast in the morning. The "Sunrise" room was quiet and perfect for our celebration. We both agreed that we would go back again. 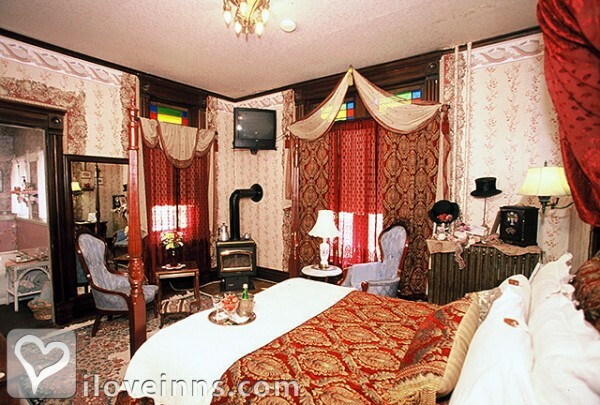 Mary and her family went out of their way to make us feel welcome and comfortable while we were in the Victorian Room! friendly atmosphere and a gorgeous residence to say the least! Would recommend anyone who has not visited the Scanlan House to do so as soon as possible! You won't be disappointed! Fabulous and Beautiful place to relax and get away! We recently spent my birthday weekend in Lanesboro, where we took in the local sites, including Amish country, riding the paved bike trail, tubing on the Root River, seeing a hilarious production of the "Putnam County Spelling Bee" at the Commonweal Theatre, as well as shopping and dining in this fun and picturesque little town in Minnesota's Driftless area. Our stay at the Scanlan House was a refreshing retreat amid all of that activity. The rooms were cozy, with super comfy beds, and our convivial hosts put on a perfect balance of unpretentious friendly service with amazing gourmet breakfasts in a relaxed vibe in their gorgeous home. We even found time to chill with a glass of wine in one of the many corners of their beautiful garden. HIGHLY RECOMMEND pampering yourself with a stay here! Enjoyed our stay at the Scanlan B&B. Very nice hosts and a clean and comfortable room. We also enjoyed getting to know the others at our wonderful breakfast. The rooms were very clean, unique and quiet. The full service breakfast was amazing with great presentation and flavor. The hosts was very friendly and informative about things to see in the area. We had a very enjoyable stay at our first bed and breakfast and will definitely be doing this again. Busy place, so booked a Sunday night stay. Staff were excellent and took care of us. Romantic setup in the room won't be forgotten for a long time. Breakfast was amazing and with visiting lasted over 90 min. A great B&B that we will visit again. We enjoyed our visit to Lanesboro and our stay at Scanlan House was great. The service was exceptional and the rooms were very clean and quiet. If we are ever in the neighborhood again we will not hesitate to stay there. Our stay was perfect and everything we were looking for on our little weekend get-away. The room was adorable and the breakfast was amazing! Wonderful old well kept Victorian. Breakfast was wonderful, Well worth the stay and we will stay again if we are ever back in Lanesboro. We stayed here for two nights last week. It was wonderful and relaxing. Our hosts, Kirsten and her mother Mary, were great. We felt very welcome and the food each morning was delicious. We enjoyed our stay so much that we booked a return trip in October for another two night stay to view fall colors. 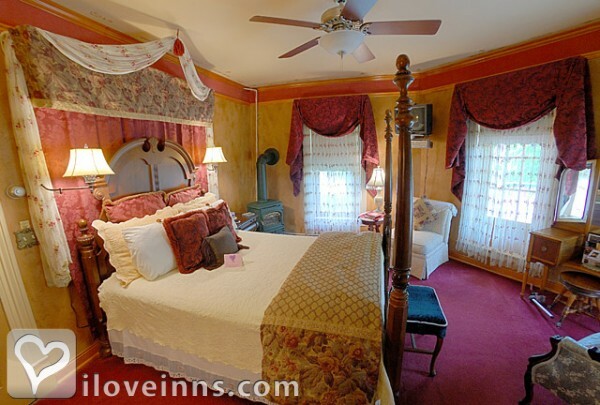 I highly recommend this place if you are looking for a cozy B&B that has a lot of charm and is located in a quiet area just outside downtown Lanesboro. Perfect location for a beautiful, peaceful weekend. My wife and I have stayed at the Scanlon House almost annually for the past 15 years. The food, services, great historic setting, and of course most importantly, the great hosts keep bring back year. We'll certainly be back next year. We LOVED it here!!! The house and rooms were beautiful. The staff was very courteous and friendly! And the food was AMAZING! I cannot recommend this place enough. It's a few blocks from 'downtown' Lanesboro, close enough to walk to town, but out of the way enough to be really quiet. The Root River biking trail is great and very accessible from the B & B/town. The Scanlan House is a gem, and our two night stay there was a highlight of our vacation. Not only do the grounds provide a wonderful place to sit and read a book, but the interior is beautiful--meticulously restored to its Victorian glory, but with all the modern amenities one could wish for. Mary and Dave were great hosts, and the 3 course breakfasts they served were delicious. We only wish Lanesboro was closer to the Chicago area. Loved this house. Cozy and warm and very excellent service. Totally loved our 2 night stay and will be back in the fall. What a great weekend! First time in Lansboro and I am sure we stayed at the best place! Great location to all bike trails and shops. We had a great weekend. Can’t wait to go back again soon! Will definitely stay here again. It was perfect! The room was clean and nice. Bed was very comfortable. We had everything we needed. The breakfasts were awesome!! Loved all the amenities! Can’t wait for our next visit! We were refreshed and inspired and when the sun was out, wanted not to budge from the balcony.